How Does CBT Work for Addicts? What Are Three Characteristics of a Good Drug and Alcohol Treatment Center? 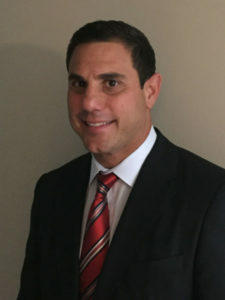 Joe Governara has been a professional in the banking and securities industries early in his career and later became an entrepreneur becoming involved in various business start-ups. After he graduated from the University of Florida with a degree in Advertising, he started his career out at Wachovia Securities, Inc. where he was named the Vice President of Institutional Sales. Joe was responsible for cold calling more than 200 institutions daily to generate new relationships with bank leadership. He opened 19 institutional accounts in his first year, and he was named Rookie of the Year for his successes. Joe Governara would later go on to work at Edge Trade, Inc. in New York City. Here he was responsible for sales of algorithmic trading strategies, ECN aggregation, smart order routing, and more. In his time here, he built strong relationships with head traders at various financial institutions. He opened eleven institutional accounts in his first year of employment and generated more than $400,000 during his second year of employment. Later in his career, he started his own company Affinity Financial Solutions, LLC, which focused on full service debt restructuring. More recently, Joe Governara’s current work involves consulting in the addiction and mental health industry. He is an advocate for helping people afflicted with alcoholism and drug addiction, and his interest’s lie in battling the heroin epidemic prevalent in North Jersey and sweeping our nation.